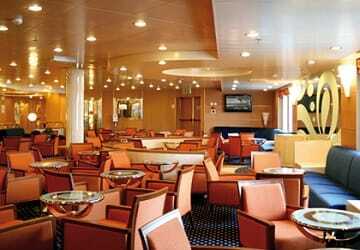 Chartered from Grimaldi Holdings, the Audacia presents its 500 passengers onboard a journey to remember. 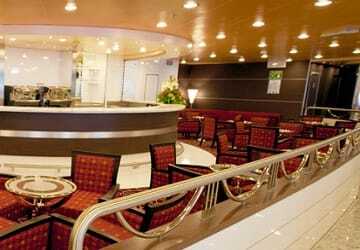 Built just in 2007 this modern ferry offers the complete experience for all to enjoy during your crossing with restaurants to sit down in and enjoy, shopping to be done or even if its resting in a cabin the Audacia doesn’t disappoint. There is a choice of 66 cabins all of which are en-suite, inside cabins can all accommodate up to 4 passengers with 4 single beds in each room, outside cabins are also all fit for 4 passengers with 4 single beds are equipped with an added extra large window for wonderful views of the sea. There are also disabled cabins available. There is a delicious self-service restaurant with a fantastic choice of food to choose from and three types of menu on offer depending on how hungry you are and all at reasonable prices too. If you have children with you then there is a menu for them to choose from as well. 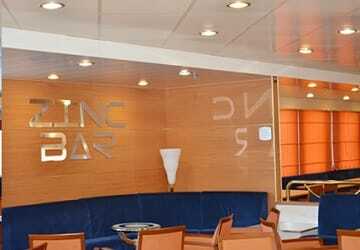 If you would prefer something lighter then head down to Zinc Bar where you can pick up a hot or cold beverage along with a snack to enjoy during your crossing. 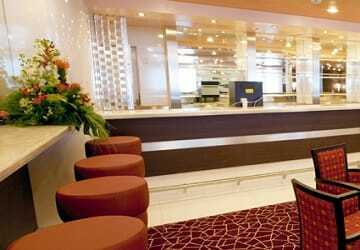 Wi-Fi internet access is available onboard throughout the ship, there is also an internet café where you can go to relax and surf the web. An ATM machine is available for anyone who needs to withdraw cash. If you have a dog there are perfectly comfortable kennels to place them in whilst onboard or if you so wish dogs are allowed on deck with you whilst you take in the sea views. Please Note: Whilst we have taken great care in making our Audacia guide as accurate as possible, onboard facilities, services and entertainment may vary depending on the date and time of year that you travel, facilities mentioned may change without notification and ferry companies reserve the right to operate vessels other than those mentioned at time of booking without prior notification. "Start of our return journey from Corfu to Home"
From start to finish the ferry crossing was great. Driving on and off was stress free and the sun shone through the whole day so was able to sit on deck. Inside the seating was very comfortable and there was a good choice of menu for breakfast and dinner though we did find it expensive. We had an inside cabin which again was very comfortable and we slept very well though it's like a maze trying to find your cabin so just keep looking at the signs on the walls showing the numbers!!!! Will definitely use it again. Ship sailed at pre-scheduled times which of course in no bad thing! Can't say that it was a luxury crossing though; cabin accommodation not overly desirable and the toilet was not working properly, little luxuries, pretty self-service restaurant, staff could be a little more friendly and helpful too. Boarding in Venice ok, but disembarkation of the ship when we arrived at Igoumenitsa wasn't very well supervised by the staff who seemed to have conflicting assignments handed out to them. 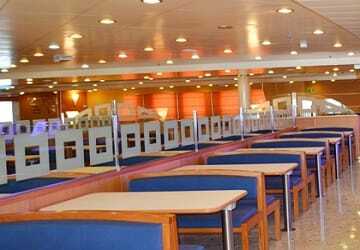 Strange that on an international ferry these staff at the port didn't speak English / German or French either. Earlier experiences with Minoan Lines ensure that we will be back next time with them instead. 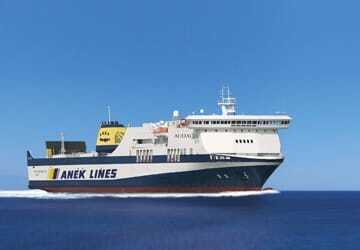 This Anek Lines service is more of a cargo ship with passenger accommodation. Ship pretty good, can't complain about the on board experience in general but the cabin prices are quite high when compared to other ferry company's that i compared on this website. The check-in and boarding/unloading of the ship ran smoothly on our way to Venice. 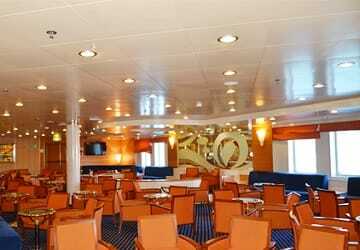 As the ship was not full we had enough space to sleep in a calm manor. 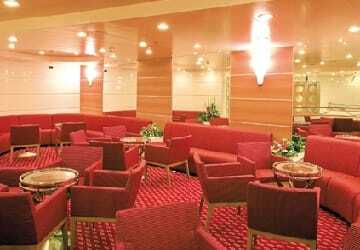 The staff was very friendly and helpful on this ferry as well.